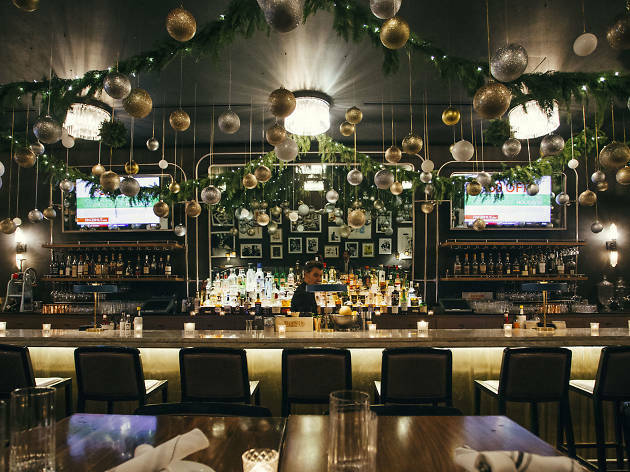 There's no better way to get into the Christmas spirit than sipping on a hot cocktail in a cheery spot or snuggling up at a bar with a fireplace, so we found a few places to get into the holiday spirit. 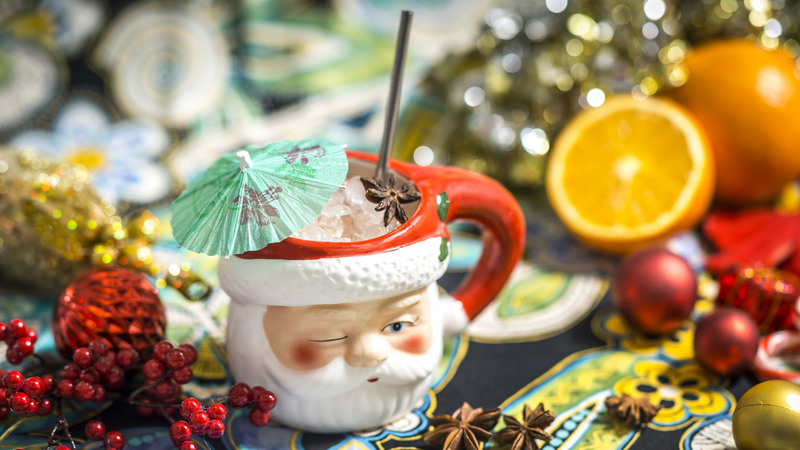 From tiki spots to late night dance parties with Christmas lights, Chicago's decking the halls with Christmas cheer. 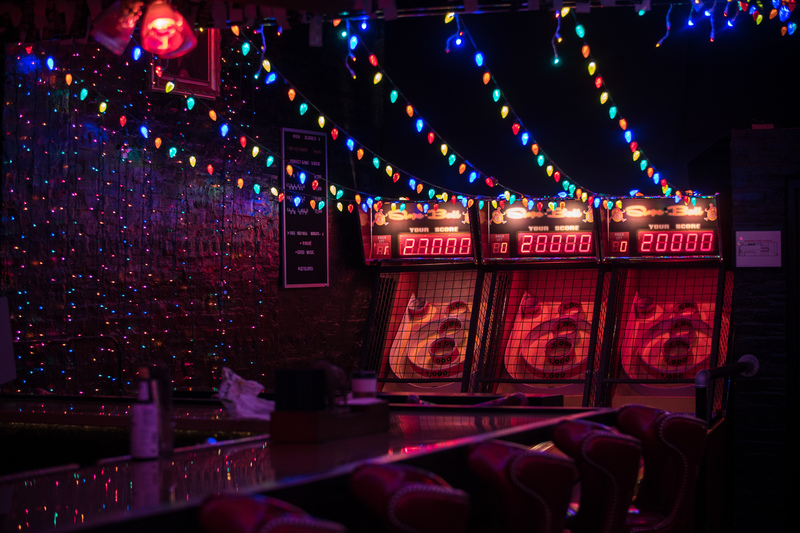 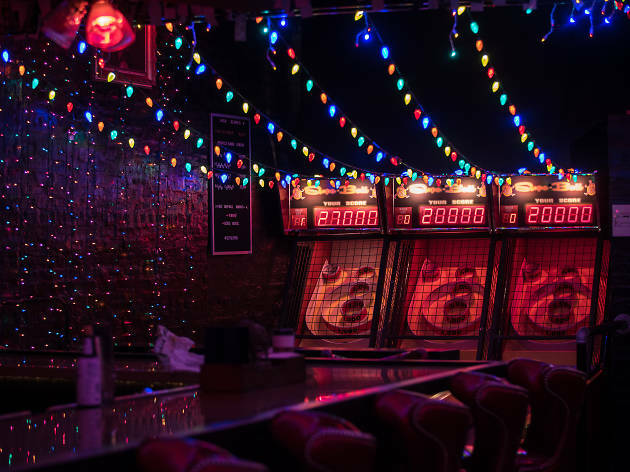 This Logan Square hotspot always has Christmas lights up in the back area, but for Christmas they've decked out the whole space with Christmas lights to get into the spirit. 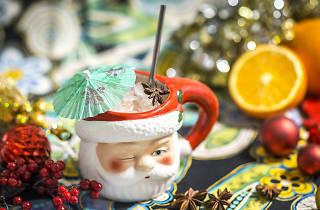 Lost Lake has dressed up as Sippin' Santa's Surf Shack through December 24, complete with tiki drinks in Santa mugs and Christmas lights all over the place. 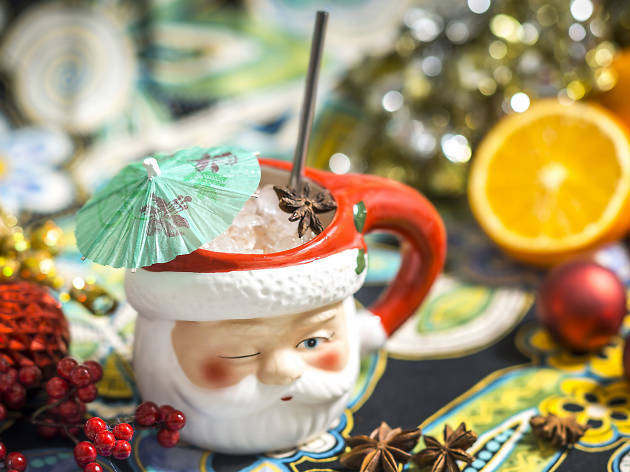 You might even find a highball with a surfing Santa on it. 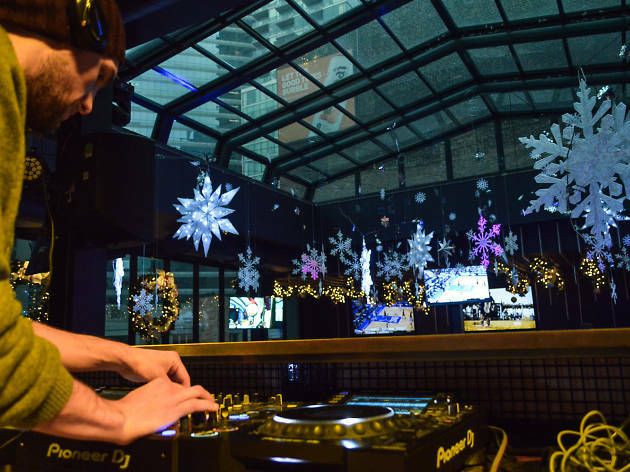 For dance parties and bottle service, head to Fremont. 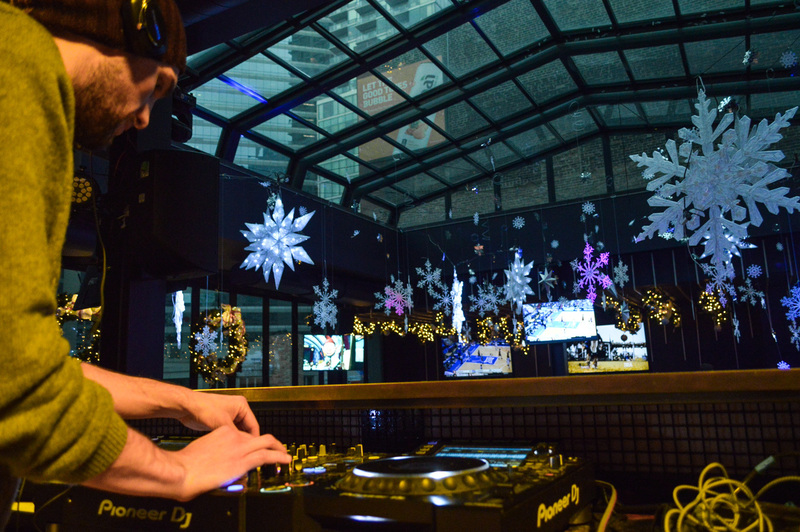 They've filled the top floor with snowflakes and have wreaths hanging around the whole space. 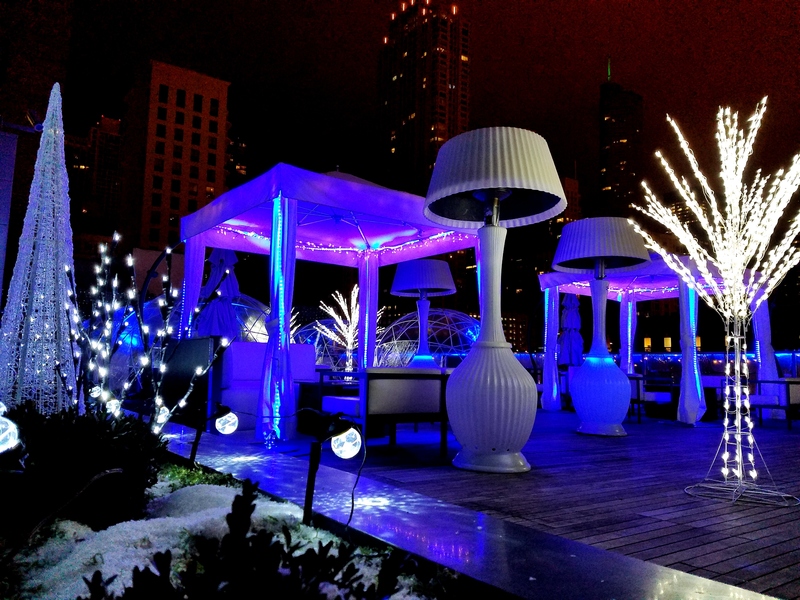 The fourth floor of the Godfrey Hotel has turned into a winter wonderland with snowy white Christmas trees and heated igloos to curl up in with a cocktail. The first level of Maple & Ash recently went through a transformation into Eight Bar, a lounge area with nice cocktails and bites. 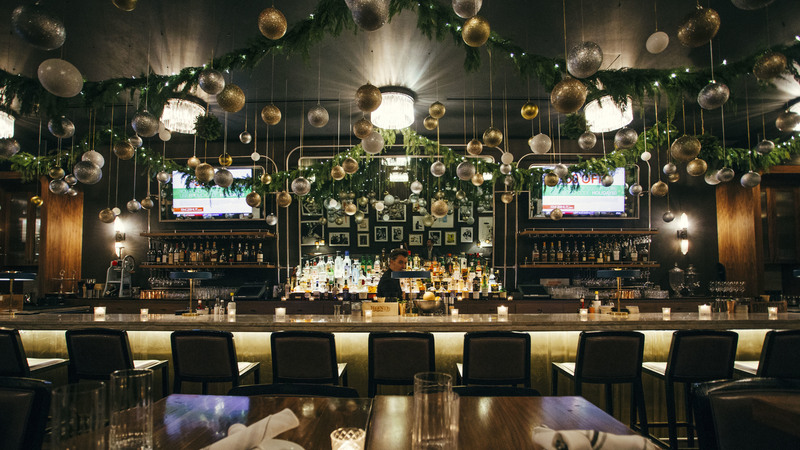 But they've dressed up with greens and Christmas ornaments in silver and gold for the season.